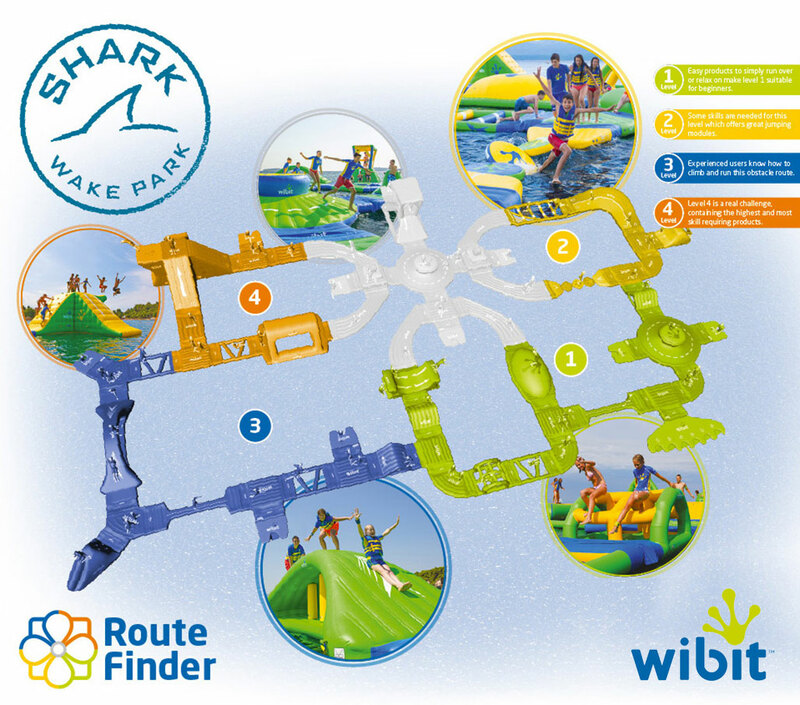 Shark Wake Park’s inflatable, floating aqua park is one of the largest Wibit™ parks on the East Coast! Covering an acre of water, the aqua park can hold up to 120 people per hour. Must be 7 years old, at least 45” tall, and a good swimmer. Book your session online and sign the waiver before arriving to the park. You must bring your ID to verify waiver. Please arrive at least 15 minutes early for your session’s orientation and instruction. First Aqua Park session begins at 10am and the last session is at 5pm – each session begins every hour on the hour. Shark Wake Park’s aqua park is the perfect destination for parties, schools, work events and everything in between! Let us host you and create a custom package for your group event: info843@sharkwakepark.com or 843-399-WAKE (9253). Check our Calendar for more details. Are you sure you want to book at Shark Wake Park’s North Myrtle Beach, South Carolina location?